For treatment in hospital wards, see involuntary commitment. Involuntary treatment (also referred to by proponents as assisted treatment and by critics as forced drugging) refers to medical treatment undertaken without the consent of the person being treated. In almost all circumstances, involuntary treatment refers to psychiatric treatment administered despite an individual's objections. These are typically individuals who have been diagnosed with a mental disorder and are deemed by a court or by two doctors to be a danger to themselves or to others. In 1975, the U.S. Supreme Court ruled in O'Connor v. Donaldson that involuntary hospitalization and/or treatment violates an individual's civil rights. The individual must be exhibiting behavior that is a danger to themselves or others and a court order must be received for more than a short (e.g. 72-hour) detention. The treatment must take place in the least restrictive setting possible. This ruling has severely limited involuntary treatment and hospitalization in the United States. The statutes vary somewhat from state to state. In 1979, the United States Court of Appeals for the First Circuit established in Rogers v. Okin that a competent patient committed to a psychiatric hospital has the right to refuse treatment in non-emergency situations. The case of Rennie v. Klein established that an involuntarily committed individual has a constitutional right to refuse psychotropic medication without a court order. Rogers v. Okin established the patient's right to make treatment decisions. Additional U.S. Supreme Court decisions have added more restraints to involuntary commitment and treatment. Foucha v. Louisiana established the unconstitutionality of the continued commitment of an insanity acquittee who was not suffering from a mental illness. In Jackson v. Indiana the court ruled that a person adjudicated incompetent could not be indefinitely committed. In Perry v. Louisiana the court struck down the forcible medication of a prisoner for the purposes of rendering him competent to be executed. In Riggins v. Nevada the court ruled that a defendant had the right to refuse psychiatric medication while he was on trial, given to mitigate his psychiatric symptoms. Sell v. United States imposed stringent limits on the right of a lower court to order the forcible administration of antipsychotic medication to a criminal defendant who had been determined to be incompetent to stand trial for the sole purpose of making them competent and able to be tried. In Washington v. Harper the Supreme Court upheld the involuntary medication of correctional facility inmates only under certain conditions as determined by established policy and procedures. Supporters of involuntary treatment include organizations such as the National Alliance on Mental Illness (NAMI), the American Psychiatric Association, and the Treatment Advocacy Center. 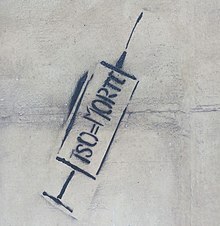 Some civil and human rights activists, Anti-psychiatry groups, and members of the psychiatric survivors movement, vigorously oppose involuntary treatment on human rights grounds. Critics, such as the New York Civil Liberties Union, have denounced the strong racial and socioeconomic biases in forced treatment orders. The Church of Scientology is also aggressively opposed to involuntary treatment. In the United States case law rulings have almost eliminated the legal right to involuntarily treat an adult patient or incarcerated inmate in non-emergency situations[dubious – discuss], starting in 1975 with O'Connor v. Donaldson, Rennie v. Klein in 1978 and Rogers v. Okin in 1979, to name a few. However, the involuntary treatment of minors remains legally permitted in most states. All states in the U.S. allow for some form of involuntary treatment for mental illness for short periods of time under emergency conditions, although criteria vary. Since the late 1990s, a growing number of states have adopted Assisted Outpatient Commitment (AOC) laws. Under assisted outpatient commitment, people committed involuntarily can live outside the psychiatric hospital, sometimes under strict conditions including reporting to mandatory psychiatric appointments, taking psychiatric drugs in the presence of a nursing team, and testing medication blood levels. Forty-five states presently allow for outpatient commitment. A 2014 Cochrane systematic review of the literature found that compulsory community treatment "results in no significant difference in service use, social functioning or quality of life compared with standard voluntary care." A 2006 review found that as many as 48% of respondents did not agree with their treatment, though a majority of people retrospectively agreed that involuntary medication had been in their best interest. Appel, JM. The Forcible Treatment of Criminal Defendants. Med & Health, RI. Nov. 2003. ^ "Committee on the Rights of Persons with Disabilities Eleventh session 31 March–11 April 2014 General comment No. 1 (2014) Article 12: Equal recognition before the law". ^ "Washington et al., Petitioners v. Walter Harper". Retrieved 10 October 2007. ^ Katsakou C, Priebe S (October 2006). "Outcomes of involuntary hospital admission—a review". Acta Psychiatr Scand. 114 (4): 232–41. doi:10.1111/j.1600-0447.2006.00823.x. PMID 16968360.